The other day, I went outside and saw a beautiful sight. A monarch butterfly perched on this dazzling yellow flower. Yikes. I’ve become what I loathe. I hurried into the house to get my phone, and by the time I got back outside, the butterfly had flown from the flower. He began to flutter around me, as if playing a game, and when I reached my hand out, incredibly, he landed on my palm. This wondrous creature had bestowed upon me a second chance to admire him, to be awed by the universe. And for the second time, as my kids would say, I epic-ly failed. I fumbled with my phone to try to capture a picture of him, but because the butterfly was on my right palm and my phone was in my left hand, and I am right-handed and painfully unambidextrous, I couldn’t get the pic. I tried, failed, tried, fumbled, and the camera dropped to the ground. I know it sounds crazy, but I think the butterfly was disgusted by my social-media-driven disregard. He took to his wings and flew away, punishing me for not doing what I should have done in the first place, which was STOP, LOOK, TAKE IT IN, RECORD THE MEMORY, APPRECIATE THE SIMPLE BEAUTY. How much do we miss in our fervor to post, tweet, pin, share? What memories are we robbing ourselves of? When we reflexively snap a pic and instantly share it with our social media friends, we are simply creating a digital image and a visual diary. Unless we fully invest ourselves in the world around us, we fail to create an emotionally-connected and impactful memory. We’ve all heard the advice, the wise adage: Be present in the moment. Be present in the moment. I cannot be present in a moment during which I’m trying to capture an image to later post on Facebook. And as a reward for the lesson learned, I was given another opportunity. I don’t know if it was the same butterfly. But the next morning, when I walked out my front door, I saw a monarch on the lawn. The dew had soaked his wings, rendering him incapable of flight. I didn’t think about my phone, or Facebook or Twitter. I thought about getting him dry. I carefully picked him up and took him to a sunny spot on the bricks. He stood there for a long while. I checked on him regularly. After about forty minutes, I saw him gingerly testing his wings. Again, I didn’t think of taking a picture. All I wanted to do was to admire those beautiful orange and black wings. And as I drew closer, something strange and wonderful happened. He lifted from the bricks and flew to me and landed on my fingers. And there he stayed. Not for a few seconds, but for whole minutes, many of them. I carried him across the street to show him to my neighbor. I brought him back to my front yard. I urged him to fly, but he stayed with me, allowing me to STOP, LOOK, TAKE HIM IN, RECORD THE MEMORY, APPRECIATE THE SIMPLE BEAUTY. And I did. My friend took pictures and posted them on Facebook. LOL. But not me. It wasn’t until after he flew to the bird bath that I finally got my phone and took his picture. I didn’t need to. The image is burned into my memory banks where I’ll keep it and cherish it forever. Because I was present in the moment. Finally, he flew away, floating on the breeze as it carried him to the tract of homes behind mine, to another backyard. Perhaps he’d share his lesson with someone else. Of course, I will continue to post, tweet, share….It’s what we do nowadays to connect. And it’s not a bad thing. But hopefully I’ll always remember to first STOP, LOOK, TAKE IT IN, RECORD THE MEMORY, APPRECIATE THE BEAUTY. Facebook might go up in flames. Twitter might crash and burn. But for me, the Butterfly Effect will live on. 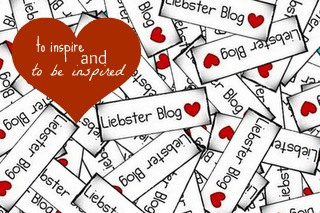 This Blog Is a Liebster Award Winner!